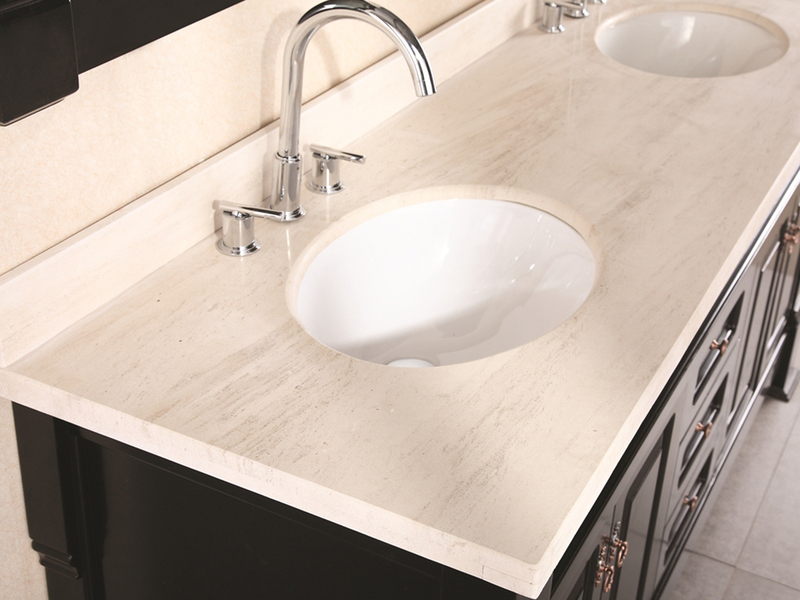 Made to become the very centerpiece of any bathroom, the 72" Marcos Double Vanity boasts a beautifully durable solid oak cabinet that's matched with a Travertine stone or Carrera White marble countertop. 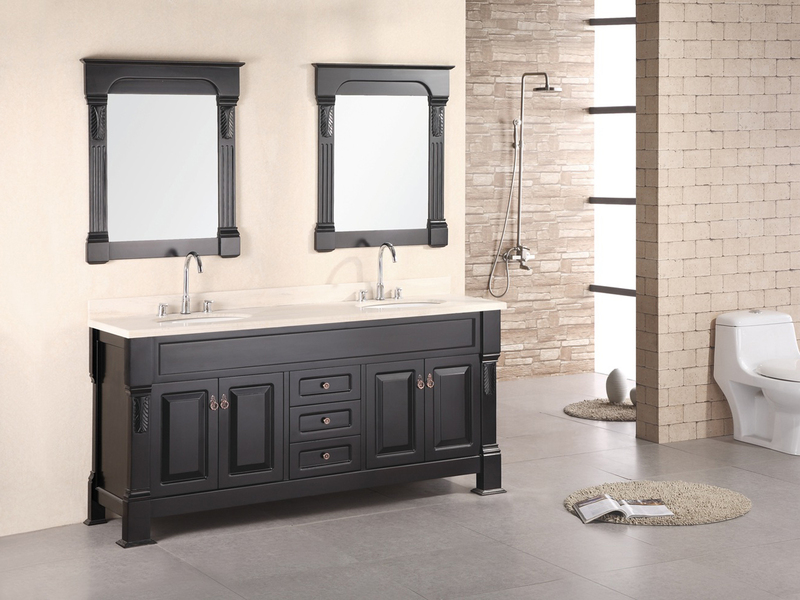 Its elegance stems from the Espresso finished cabinet, offering two soft-closing double-door cabinets and 3 pull-out drawers, all aaccented with antiqued hardware. 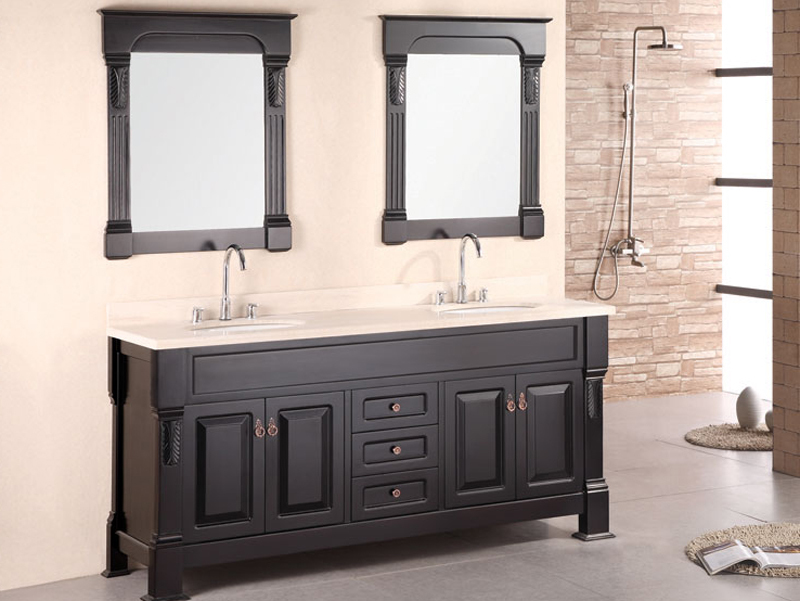 It also includes two matching framed mirrors with ornate accents to finish the look of the Marcos Vanity.